Finally, an event for Doctor Who and Sci-Fi fans on New Year's Eve! Ring in the New Year with fellow Whovians at this unique and select event feauturing Time Lord Rock, fan panels on Series Eight and the Christmas Episode, trivia, free goodies, live music, guest performers, and tons of fun for couples and singles alike! 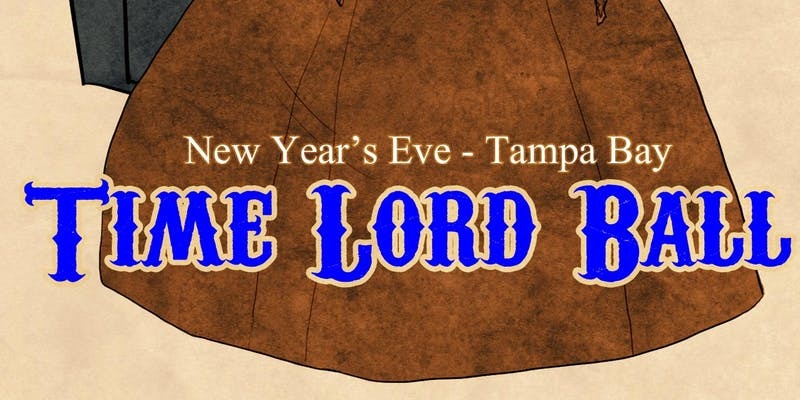 Join us for The Third New Year's Eve Timey Wimey Time Lord Ball! Children 10 and under are free, one per each paying adult. All ages. Tickets are very limited. - Trivia of Rassilon game with fantastic goodies as the prizes. - Food will not be served at this event. - The Brass Mug bar is not associated with New Year’s Eve Time Lord Ball 2018. Food and drink are not included with admission. A portion of each sale goes to benefit Dragon’s Head Productions, the amazing production team who help make New Year’s Eve Time Lord Ball possible. Line-Up, Entertainment, and Guest Are Subject To Change.